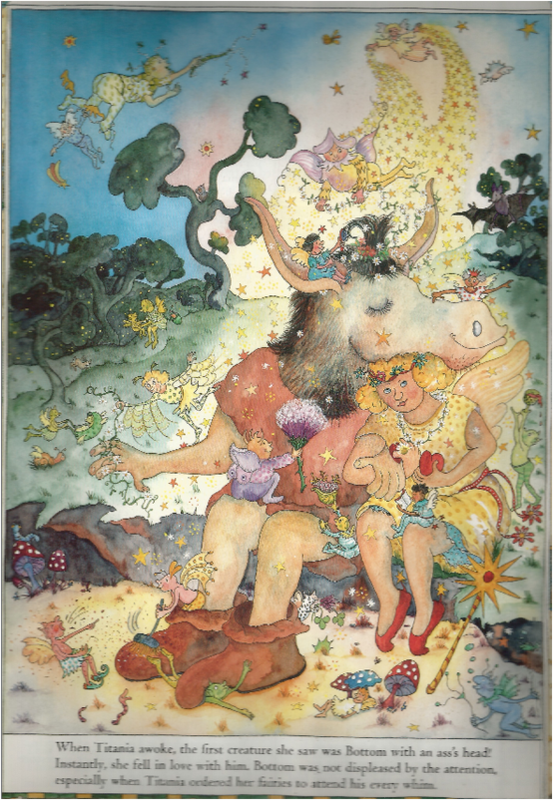 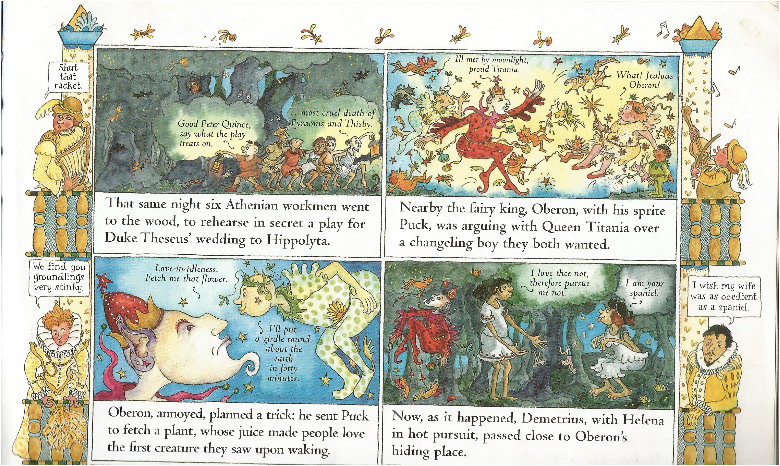 Puck on Oberon's orders, drew the lovers on and on until, tired and confused, they fell asleep. 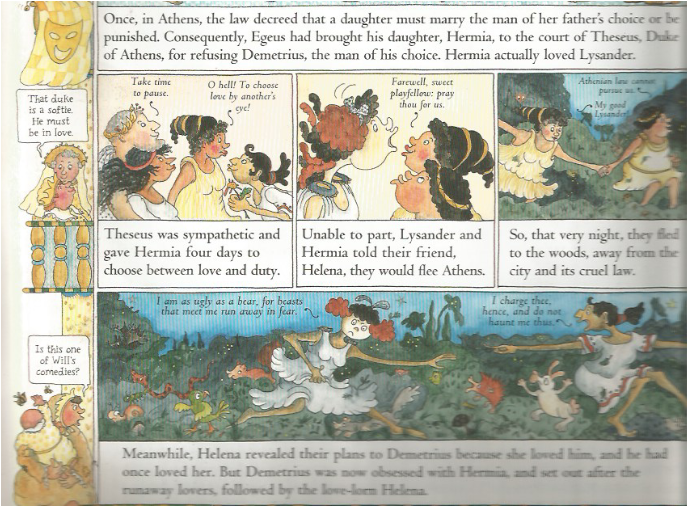 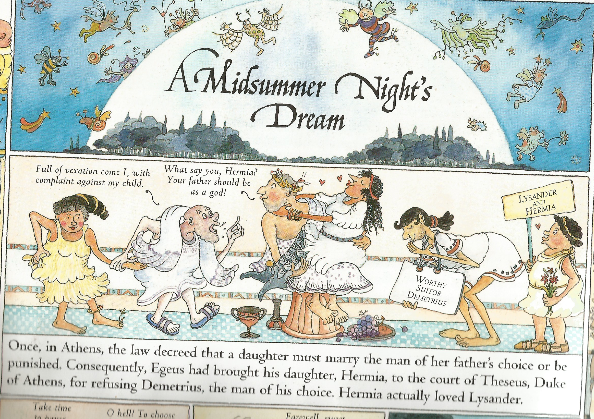 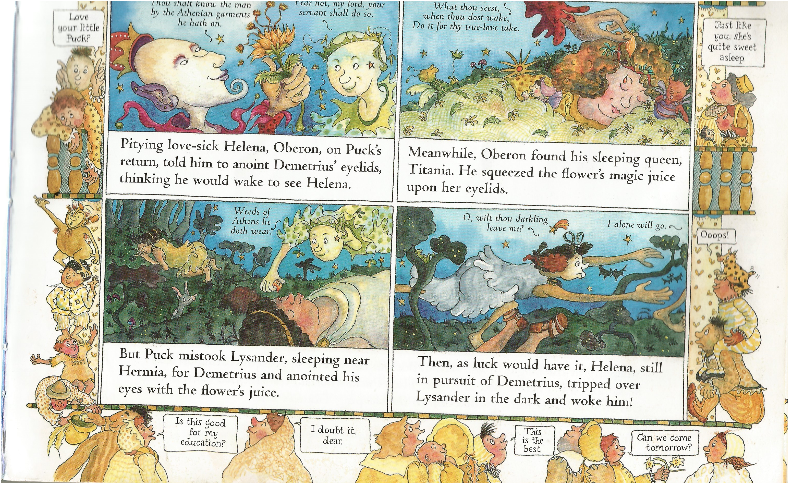 Then Puck anointed Lysander's eyelids in order to restore his love for Hermia. 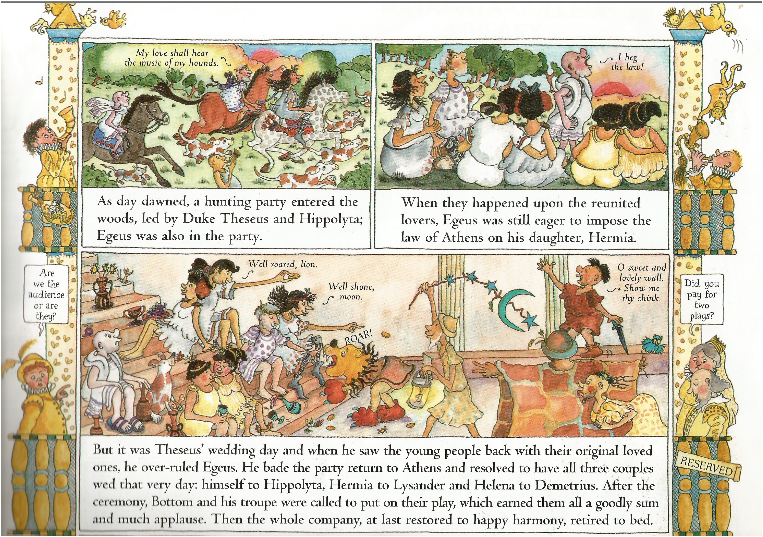 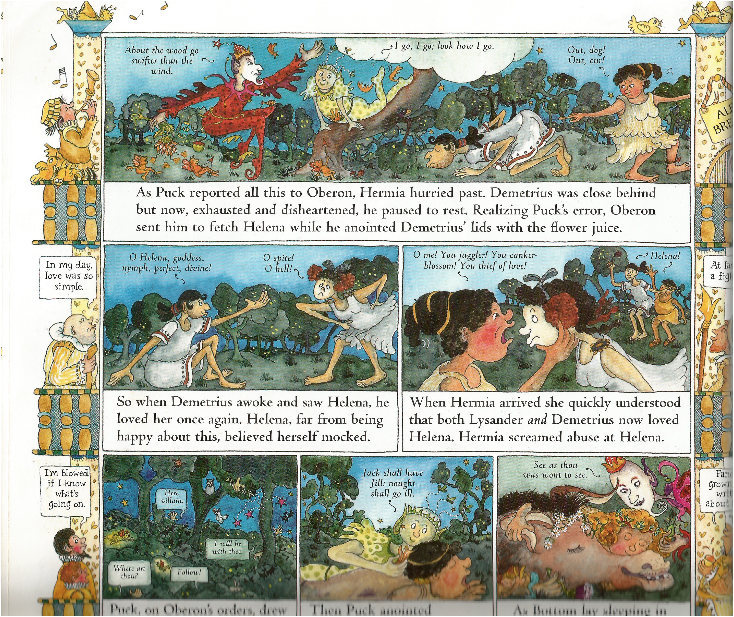 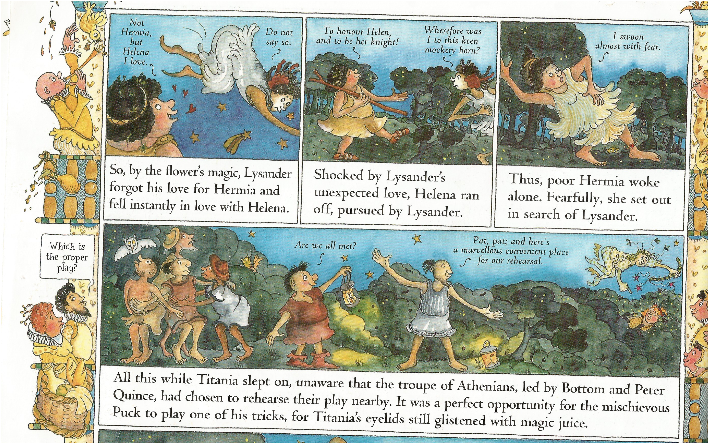 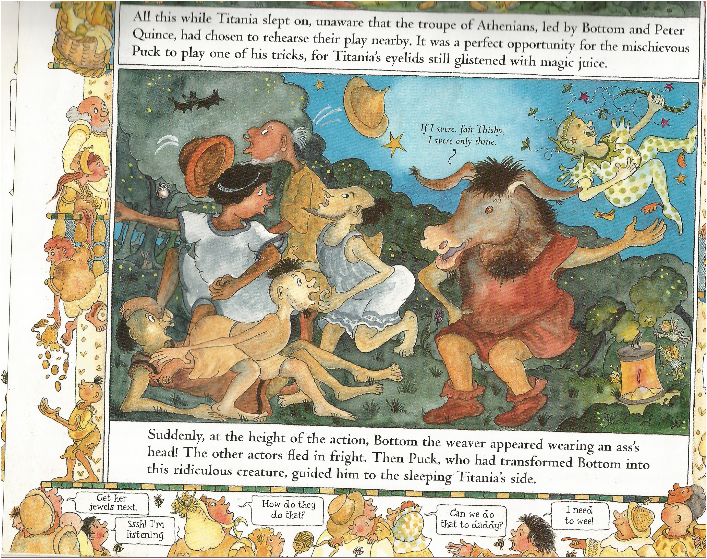 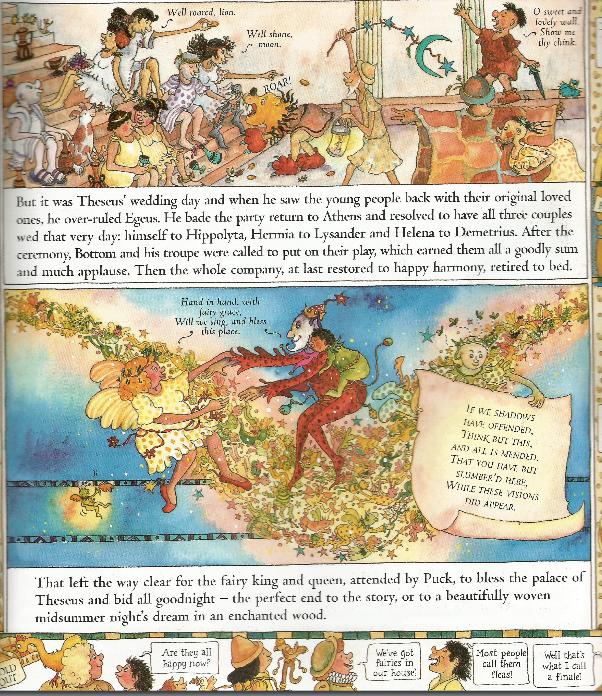 As Bottom lay sleeping in Titania's arms, Oberon put an antidote on her lids.